I've been blogging about freelancing (specifically, about making more money in less time) for more than four years now. Occasionally, I bring up topics I've covered before because they're evergreen, or always relevant. Today's topic addresses something concerns both new and seasoned freelancers. It's the question of why--as in why did my query get rejected? Or why did you fail to get a response--any response--at all? 1. You misread the market. Your idea may have been excellent, but it wasn't right for that particular publication. Remember, your query should have a "why-write-it" section that demonstrates why readers of this market will be interested in the subject. If you can't do that, pitch your idea somewhere else. 2. Your editor actually loved the idea...so much that she's already assigned something similar to another writer, or has a piece like it in inventory waiting to be run. Sorry--you can't do anything about this reason, but at least you know it's not you. In fact, if you get a response telling you this, I'd start my new pitch with language like, "Good to know you already have a story like this in the works--you know what they say about 'great minds!'" 3. She never got it. It wound up in her spam folder, or she overlooked it among the hundreds of email an editor receives on any given day. That's why following up is so critical. How can an editor respond to something she never received? 4. You pitched an idea that would be assigned to a staff writer. Make sure you read the publication's most current guidelines so you know what types of work is assigned to freelancers. Whether you're pitching an online or print market, querying a section of the publication that's produced in-house shows that you didn't do your homework beforehand. 5. You didn't provide enough detail about how you'd approach the story. How long will the piece be? What kinds of sources will you interview? How will your structure the article? Will you include a sidebar or two? The more detail you provide, the easier it is for your editor to envision your piece--and say yes to you. 6. Your query is sloppy, whether it has mispellings, grammatical mistakes, or other glaring errors (like spelling your editor's name wrong). To an editor, sloppy query=careless freelancer. And honestly, your query is your first impression. Make a bad one and you may not get a second chance. 7. You pitched too late, such as by querying a holiday idea to a national magazine now, in August. Or you offered to cover an event that's already happened, a mistake I made early in my freelance career. Consider the publication's lead time when pitching. 8. The editor is overwhelmed--and hasn't had a chance to read it yet. That's another reason to follow up on every query you send. You're not being a pest; you're being a pro. 9. Your idea is nothing special. To set your query apart, don't pitch an idea like "five simple ways to lose weight." A unique or counterintuitive spin, like "eat more, weigh less" or "laugh yourself thin" is more likely to stand out--and sell. 10. Your timing is off. Maybe she's already assigned for the next two issues, and isn't ready to assign anything else. Maybe she has to cut her freelance budget and can't assign anything for a month or so. Either way, you can't do anything about it. What you can do is follow up and stay on her radar so when she is ready to assign, you're top of mind. Stay tuned for more info about them, and in the meantime, to learn more about how to set yourself apart from other writers, nab more assignments, and create long-lasting relationships with editors and clients and make money as a freelancer, check out my latest two books, Dollars and Deadlines: Make Money Writing Articles for Print and Online Markets or Six-Figure Freelancing: The Writer's Guide to Making More Money, Second Edition. For a limited time, you'll get half off both titles when you order directly through ImprovisePress.com and use the discount code CHICKENS. For an even better bargain, check out my series of short-but-packed-with-info ebooks, which are priced at $0.99 for a limited time. Dollars and Deadlines' 10 Most Popular, Proven Ways to Make Money as a Freelance Writer. You cannot overstate the importance of the query letter, especially when you're a new freelancer. As you gain experience, you may not have to query as frequently. You may connect with editors through social media, meet them at conferences or other events, or be introduced through another editor or fellow freelancer. Once you've got some clips and clients, you're more of a "known entity" and have a reputation (hopefully a good one) that precedes you. But when you're starting off, all you have is about four paragraphs to make an impression, positive or not. The first query you send may not only be your first impression; it may be the only chance you have to catch the attention of an editor or agent. Whether you're pitching an article idea to an editor, looking for an agent for your novel, or have a memoir or nonfiction book to sell, you must write a compelling query. That's one reason I put so much emphasis on them when I teach article writing and freelancing workshops, and why I offer query critiques (including the super awesome bonus) occasionally here on the blog. I hope you find them helpful! Please share this post with other writers! **Are you serious about making money as a freelancer? 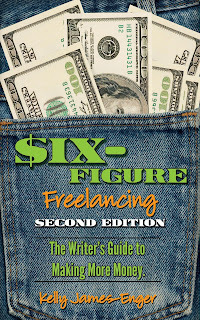 To learn more about how to set yourself apart from other writers, nab more assignments, and create long-lasting relationships with editors and clients, read my latest two books, Dollars and Deadlines: Make Money Writing Articles for Print and Online Markets or Six-Figure Freelancing: The Writer's Guide to Making More Money, Second Edition. For a limited time, you'll get half off both titles when you order directly through ImprovisePress.com and use the discount code CHICKENS. Years ago I met another freelancer at ASJA and we got to talking about the markets we were writing for. She was surprised to learn that I wrote for markets that paid relatively low rates, and told me that she only wrote for markets that paid at least $1/word. "Otherwise, it's not worth my while," she said. I couldn't disagree more. The question is not what you make per-word; it's what you make per-hour that's critical to your success. So as I reviewed my blog's stats recently, I was happy to see that this blog's most popular post of all time was one I wrote more than three years ago about why I don't care what I make per-word. So, what are you making per word for your articles for print and online markets? $1/word? $1.50/word? Only $0.40/word? Who cares? I only care about what I make per-hour. While blogs typically pay a set rate per-post, Websites, magazines, and e-zines pay per-word. This per-word figure, multiplied by word count, tells you how much you’ll make for writing a particular story. But it may not tell you whether it’s worth it to take it on. The real question is how much time the story will take—the assignment amount divided by the number of hours you put into it gives you your hourly rate for the piece. Knowing how much time an article (or any other project, for that matter) will take gives you a concrete idea of the return on your time. And those $1/word and up assignments can be mighty misleading. Sure, it’s a bigger check than writing for a market that pays a lower per-word rate. But are you really making more money? For example, let’s say I do a 1,000-word story for a national magazine that pays $1.50/word. Fair enough—I’m getting paid $1,500 for my work. But what happens if between researching and writing the query, writing an outline (per my editor), researching the article, finding sources, doing interviews, transcribing interviews, writing the piece, turning in the piece, revising the piece (per my editor’s request), finding new sources (per my editor), interviewing those sources, turning in the final revision, submitting my backup material, answering additional questions from the editor (say, nine months later…it happens), I’ve put 25 hours into my story? That means I’ve made $60/hour on that story. Not bad, but here’s the thing—compare that to a 1,000-word piece on the same topic for a smaller magazine that pays only $0.35/word. Yet I know the editor and my query is just a short paragraph. The story requires some background research and several interviews, and takes me a total of five hours to write. (No revisions requested! Yay!) That a total of $350, for five hours’ worth of work—or $70/hour. Plus it's a lot less of a hassle for me. At first glance, the $1,500 piece looks like a better assignment—and it is a bigger check. But my experience has been that national markets (and I’ve written for more than 60 of them) expect a lot more work from you to earn that higher rate. In many cases, I’ve found that regional magazines, trade publications, and online markets actually pay better per-hour than their national counterparts. And that makes them worthwhile markets for me. **Knowing what you make per-hour is only one aspect of successful freelancing. 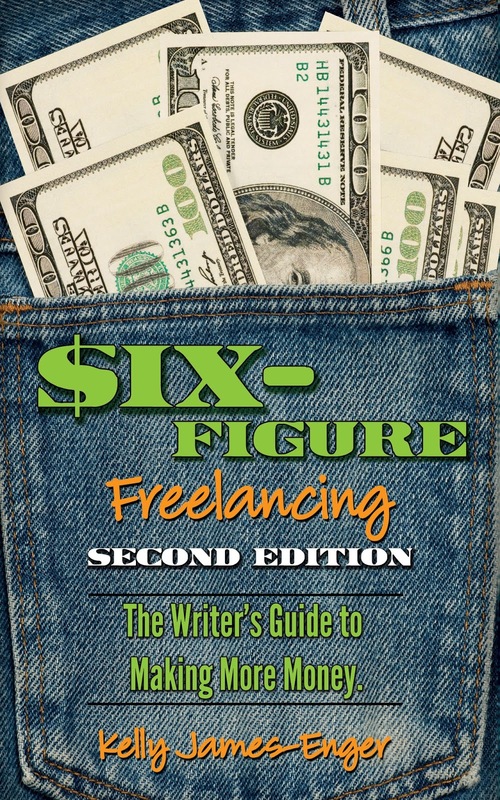 To learn more about how to set yourself apart from other writers, nab more assignments, create long-lasting relationships with editors and clients,Dollars and Deadlines: Make Money Writing Articles for Print and Online Markets or Six-Figure Freelancing: The Writer's Guide to Making More Money, Second Edition. For a limited time, you'll get half off both titles when you order directly through ImprovisePress.com and use the discount code CHICKENS.